Bacon Fixation? This ‘Babe’ Will Show You How to Satisfy It. “I make extraordinary bacon dishes by putting bacon in places you don’t expect,” said Taffel, a World Food Championships competitor. Her favorite is her “sweet, savory and addictive” praline bacon. For that treat, Taffel oven bakes bacon with a mix of sugar and pecans. 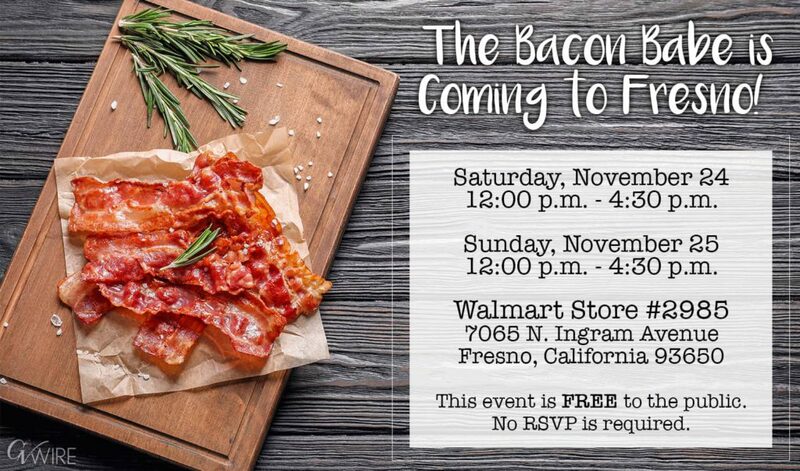 This weekend, Taffel will show Fresno area Walmart shoppers not only how to make some of her imaginative bacon snacks, but also how to create affordable, high-quality meals to take home. “Most dishes I do are very affordable and very easy,” Taffel said. “Growing up we wanted to eat something other than Mac and Cheese so we taught ourselves to cook,” Taffel said. Taffel gained further knowledge of the culinary industry while working as a bartender for a caterer in Los Angeles. Taffel and the chef both shared a passion for foods. He soon became her mentor and taught her everything he knew about the craft. 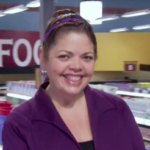 Taffel started her professional cooking career in her mid-40s.